Yes, I did it! 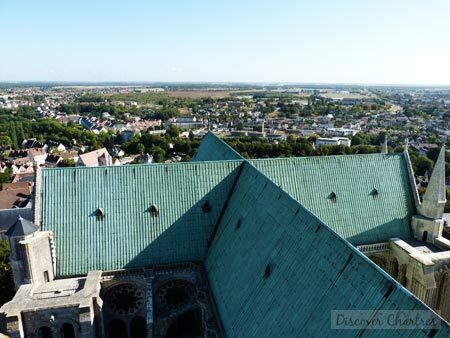 I climbed up to Chartres cathedral tower! It was a fantastic experience although I must admit that it was also a thrilling adventure for me because I hate being in the high! 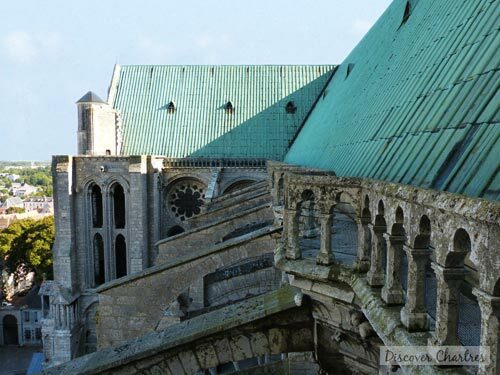 Many people ask why the two Chartres cathedral towers are asymmetric. You can see clearly from the west front that the two towers have different styles. Those two bell towers were built in different eras - on the north is a Flamboyant Gothic style while on the south is a Romanesque style. 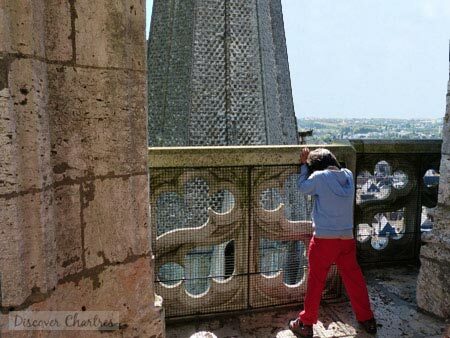 Last holidays, we visited the famous north tower - my kids were so excited while for me, it was quite a challenge! First step on the stairs had gave me a sense of vertigo already! 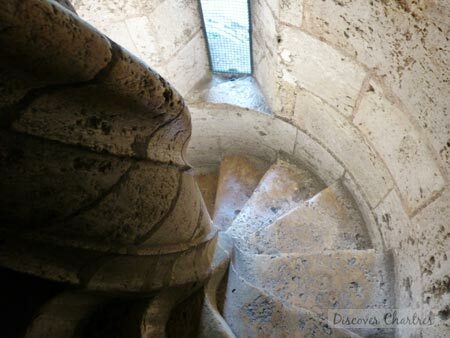 There are more than 300 spiral steps to go to reach the top! Wow that would be tiring huh...but trust me, you will not regret! The north tower, also known as clocher neuf (the new bell tower) has 113m tall. Although it is called as the new bell tower, it is actually older than the one in the south. The construction of the north tower was begun in 1134. The construction has suspended when it reached the third level. 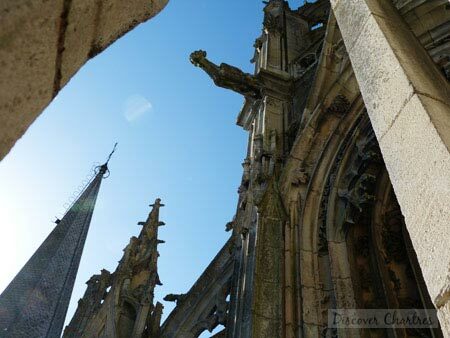 It was finally finished in 1150 with its wooden spire. 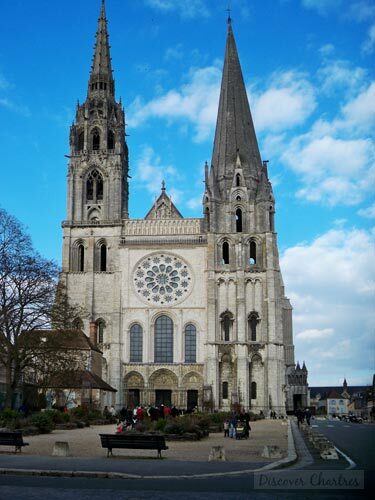 In 1506, the wooden spire has destroyed by lightning - it was then replaced with a 113 m high of stone work spire, which was built by Jehan de Beauce (also known as Jean Textier). This work finished in 1514. During the time when the north tower construction was suspended, in 1144, the construction of the south tower was started and completely finished with its Romanesque art spire in 1155. 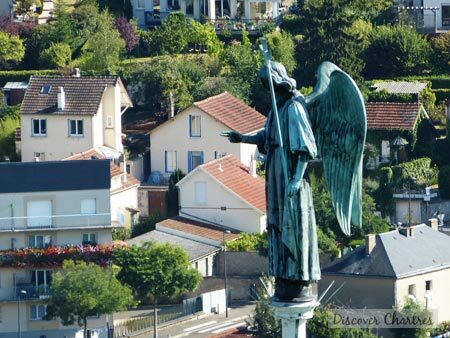 The south tower is 105m high, also known as clocher vieux (the old bell tower). 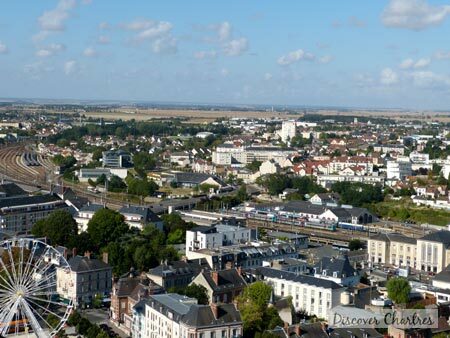 After a long way to climb up...finally you deserve what you can get - view over Chartres city and beautiful landscape of Eure et Loir! Despite my vertigo and the fact that I should watch out also what my kids doing, I took a lot of pictures that day. Here are some of them...Hope you enjoy! 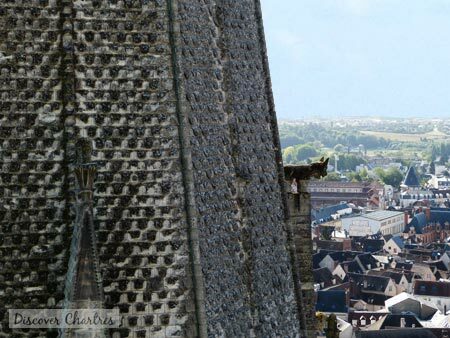 When Can Visit Chartres Cathedral North Tower? 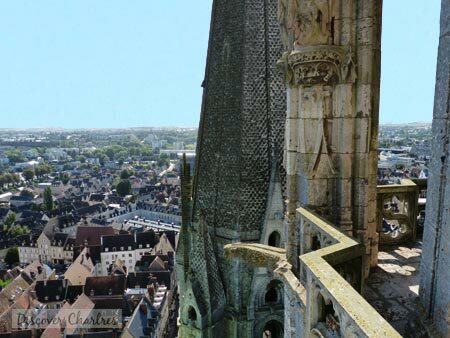 You can visit Chartres cathedral north tower as individual or in group. The entry ticket is available on the service desk that situated in the north aisle. If you enter the cathedral from the Royal portal on the west, the service desk is just on your left side - do not be mistaken with the souvenirs shop. More than 25 years old: 7,50€, for 18 - 25: 4,50€ - free if you are an EU national. Free for under 18 - must be accompanied by an adult. What if I say that you can visit to the north tower for free? Ahh...oui...oui! Just come on the right time! The north tower is open for all visitors for free every first Sunday of the month from November through May and during the European Heritage Days. 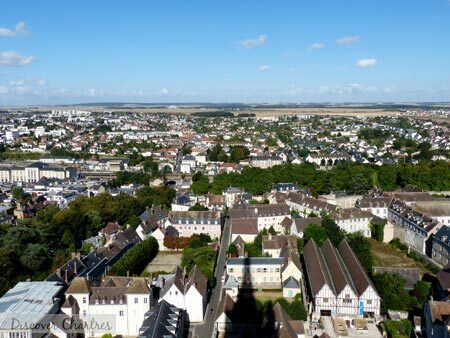 Bring along your camera and or binoculars, don't miss to capture the beauty landscape of Chartres and Eure et Loir! Or perhaps you are curious to know whether the Eiffel Tower can be seen from here. Always keep the entry ticket with you until the end of your visit in case of any inspections. 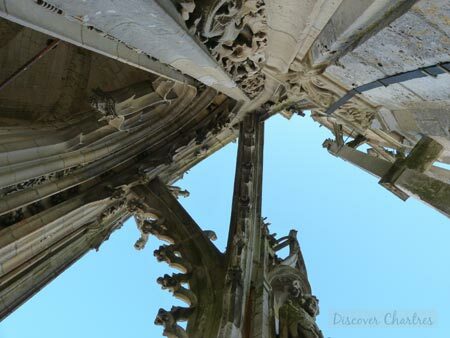 Today, visit to the south tower of the cathedral is no more served, possibly because of financial issue. Let's hope that someday it will be re-opened.